Palestinian Civil Defense workers recovered the bodies of four Palestinians between Saturday night and Sunday morning, after they went missing when a tunnel collapsed on them last week. The Palestinian Civil Defense in Gaza said the tunnel collapsed after Egyptian authorities deliberately flooded it with seawater, launching an immediate search operation for four men who were reported missing. A statement from the civil defense identified the men as Ali Badawi, 43, Muhammad Badawi, 21, Imad Badawi, 24, and Sami al-Tawil, 30, all residents of the Gaza Strip. However, some reports from Israeli media said only three bodies were recovered, while a fourth remained missing. 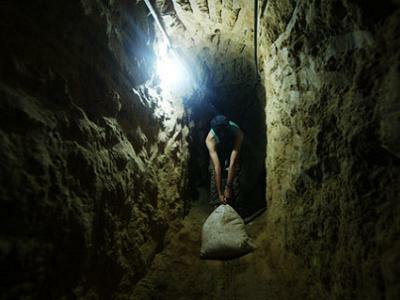 Dozens of Palestinians have been killed in tunnels connecting the besieged Gaza Strip since the beginning of the year. In October, a Palestinian man died after being accidentally electrocuted inside a smuggling tunnel between Egypt and the southern besieged Gaza Strip. Human Rights Watch slammed Egypt’s military for its campaign against the tunnels in 2015, during which the group said some 3,200 families had been evicted from their homes near the border and hundreds of acres of farmland destroyed. Presumably all this seawater goes on into the aquifer, which is already heavily polluted. Nice one Mr Morsi. 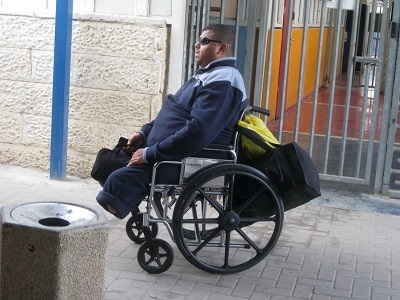 Remember when the Gaza Strip becomes uninhabitable in 2020 Egypt will be the first port of call for the survivors.